From BuzzFeed culture writer Anne Helen Petersen comes an accessible, analytical look at how modern female celebrities are pushing boundaries of what it means to be an ‘acceptable woman’. In TOO FAT, TOO SLUTTY, TOO LOUD: The Rise and Reign of the Unruly Woman, the Scandals of Classic Hollywood author is determined to change the way people think about women who are continuously labelled too brazen, too opinionated, too revealing … just ‘too much’. As well as Minaj, McCarthy and Jenner, Petersen examines Serena Williams, Kim Kardashian, Lena Dunham, Madonna, Abbi Jacobson, Ilana Glazer and Jennifer Weiner. 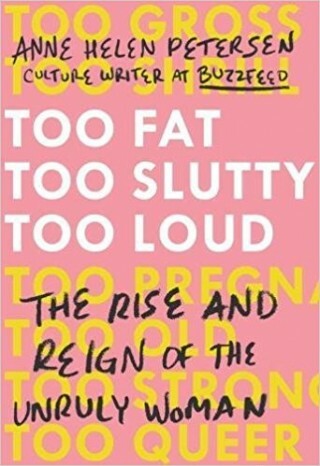 TOO FAT, TOO SLUTTY, TOO LOUD is an engaging, conversation-starting book on how the public’s criticism makes and breaks a celebrity woman today.